RealEstateRama EPA settlement with property owners removes barriers for redevelopment of Superfund site in Upper Merion, Pa.
PHILADELPHIA (Mar. 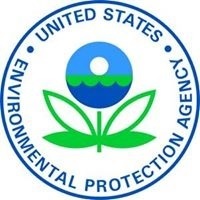 27, 2018) – (RealEstateRama) — The U. S. Environmental Protection Agency announced a settlement today that requires property owners of part of the Crater Resources Superfund Site in Upper Merion, Pennsylvania to complete a $1.8 million cleanup of two former quarries at the site. The proposed consent decree with two related companies (Renaissance Land Associates II LLC and Renaissance Land Associates III, LLC) was filed by the U.S. Department of Justice in federal court in Philadelphia. If approved by the court, the settlement will pave the way for residential development of a segment of the 50-acre Crater Resources site. The settlement requires the two companies (RLA II and RLA III) to fund and complete the EPA-approved cleanup plan as it relates to two of the four former quarries at the site, which became contaminated due to dumping from nearby steel-making operations. In addition, the companies will reimburse EPA for certain costs related to the agency’s ongoing and future oversight of the cleanup. The agreement was reached under the federal Superfund law — known as the Comprehensive Environmental Response, Compensation, and Liability Act (CERCLA) — which requires landowners, waste generators and waste transporters responsible for contaminating a Superfund site to clean up the site, or reimburse the government or other parties for cleanup activities. See https://www.epa.gov/superfund . The Crater Resources Superfund Site consists of four inactive quarries in an industrial and commercial area about one mile north of Gulph Mills. From 1919 until 1977, the Alan Wood Companies disposed of “waste ammonia liquor” at the site, generated during chemical by-product recovery at a steel-making facility in nearby Conshohocken. RLA II and III are the current property owners of two of the four former quarry areas at the site. In the 1990s, several “potentially responsible parties” (PRPs) began site evaluation and cleanup activities overseen by EPA and the Pennsylvania Department of Environmental Protection (PADEP). In 2000, EPA approved a cleanup plan, commonly known as a Record of Decision (ROD), that required removing all contaminated soils and sediments from one of the quarry sites, and construction of multi-layer caps at the other quarries. In 2001, EPA issued a unilateral administrative order to the PRPs that required a cleanup of the 50-acre property. The caps were designed to prevent leaching of contaminants from soils into groundwater, and to reduce the public health and environmental threat of contact with contaminated soil. The performance requirements for the caps were based on standards for commercial and industrial land use, which facilitated office park development in the area. In 2016, RLA II and RLA III requested that EPA amend the ROD to allow for residential redevelopment, which would require caps that were more protective. In July 2017, EPA, in consultation with PADEP, modified the cleanup plan to require more-protective caps at two of the site’s quarry areas. Under the settlement announced today, these two companies have agreed to complete the cleanup in accordance with these stricter residential standards. The proposed consent decree is subject to a 30-day public comment period and court approval. For more information about this site and its cleanup, see: https://cumulis.epa.gov/supercpad/cursites/csitinfo.cfm?id=0301193&msspp=med . For public comment information, see https://www.justice.gov/enrd/consent-decrees .